Every year the UK celebrates the official birthday of the Monarch in early June. Find out about the origin of this annual event and about the traditional celebrations such as the Trooping of Colour and the Monarch’s birthday honours list. Session 1 How many birthdays? Discover events beyond living memory that are significant nationally and are commemorated through anniversaries. Recognise and use language relating to dates, including days of the week, weeks, months and years. Ask and answer questions about totaling and comparing categorical data. Sing about months of the year, compile a block graph of class birthdays, and enjoy a birthday story. Which real person has 2 birthdays?! To share children’s birth dates and mark their year of birth on class time line. To learn the months of the year; to compile a simple block graph. Learn the months of the year. Compile a class block graph. Collect data to compile individual block graphs. Select from and use a range of tools and equipment to perform practical tasks (cutting, shaping, joining and finishing). Walk and move like a royal monarch, make your own crown and paint a royal portrait. Enjoy ‘Winnie the Pooh and the Royal birthday’. To learn about some of the UK’s past Kings and Queens; how present day monarch uses the same symbols of power as those in the past. To design, make and decorate a crown. Design and make a crown, the symbol of royalty. Discover something of the chronological line of succession of the UK Kings and Queens. 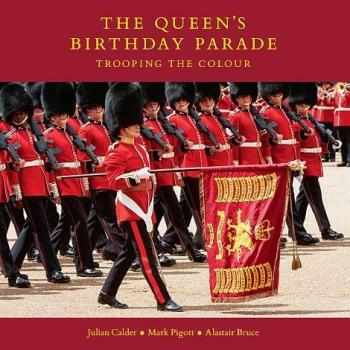 Practice marching; Learn about ‘Trooping the Colour’ - design own colour to troop to. To learn about the annual commemoration to mark the official birthday of the Monarch ‘Trooping the Colour’. To march in time to a beat, maintaining co-ordination. Experience marching to follow a colour. Understand the purpose of ‘Trooping the Colour’. Design and make their own colour. Means to attach colours from ceiling (as in St George’s chapel see weblink). Develop understanding through speculating, hypothesizing, imagining and exploring ideas. Participate in discussions, presentations, performances, roleplay, improvisations & debates. Children consider who they would honour and why; invite audience to ‘Honours’ presentation and celebration. To understand the tradition of the Monarch’s Birthday Honours List. To discuss who deserves to receive an award, explaining their reasons coherently; to take part in a Class presentation of an awards ceremony. Decide which local person deserves to be honoured and explain the reasons why that particular person has been selected. Take part in a class awards ceremony to learn about the tradition of the Monarch’s Birthday Honours List.